I was watching a Kannada soap opera last night (because I have apparently become an elderly Indian woman as of late) and a scene in a courtroom caught my attention. One of the characters was being questioned, and before she gave her testimony she was asked to declare her intention to speak the truth. I will speak the truth; I will not speak anything that isn’t true; everything I say is the truth. That segment caught my attention for a couple of reasons. But of course it wouldn’t be the same. While an objectively large number of people in India use English as a second or third language (some 125 million according to the latest census, nearly half the population of the United States), that still only comes out to about 10 or 11 percent of the country’s population. It would be fundamentally unjust for court proceedings to be carried out in a language with which the parties were unfamiliar — even though that probably happens regularly, since there are only (!) 22 scheduled languages of India and hundreds more unrecognized dialects and minority languages. Another thing that caught my attention was that there was no religious sentiment expressed in the declaration. India is a highly religious country, with upwards of three-fourths of the country declaring that religion is important to them. In the U.S., that rate is a little lower, at 65%, but the most famous form of our witness declaration here does explicitly invoke God — “… so help me God,” a line that is usually delivered, scripted, by court bailiffs, along with a Bible. In American law, an oath specifically references God. The OED agrees: an oath is specifically a type of declaration that “invokes God, a god, or other object of reverence.” Those who don’t want to make an oath instead provide an “affirmation,” which starts with “I affirm…” instead of “I swear…” and omits the reference to God. Affirming is referenced four times in the U.S. Constitution as an alternative to swearing, and Britain has allowed affirmations instead of swearing since 1695. Regardless of whether you swear or affirm, if you lie, you can be charged with perjury, a serious crime. I swear by [Almighty God/Name of God/name of the holy scripture] that the evidence I shall give shall be the truth, the whole truth and nothing but the truth. Affirmations in Britain require several more hedges than an oath, perhaps because of a cultural suspicion against people who affirm rather than swear: “I swear to tell the truth…” is such a well-known phrase that any deviance from that — regardless of how legal it is — can be regarded with suspicion. I do solemnly and sincerely and truly declare and affirm that the evidence I shall give shall be the truth, the whole truth and nothing but the truth. In the U.S., one can simply affirm. Atheist and former Governor of California Culbert Olson, in office from 1939 to 1943, famously said to California Supreme Court Justice Waste, “God [can’t] help me at all, and there isn’t any such person.” He chose to say “I will affirm,” rather than “I swear” during his oath of office. Je jure de parler sans haine et sans crainte, de dire toute la vérité, rien que la vérité. I swear to speak without anger and without fear, to say the entire truth, nothing but the truth. My friend writes, “Because France is a non-religious country, there isn’t any trace of God in any institutions.” I’m sure truth is more nuanced than that, but the French people are certainly less religious than the United States. 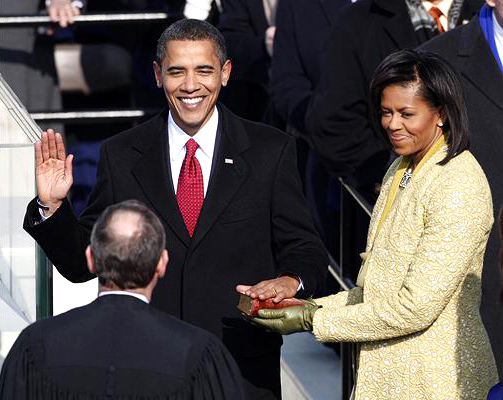 But the word — jurer — used in the oath is similar to “swear.” Jurer usually carries the same valence as the English “swear” (in that it has religious undertones) and it also has the same secondary meaning of “to curse.” But jurer can also translate to “certify” or “pledge,” words that carry no religious undertones in English. The U.S. government is explicitly areligious, but a profession of faith is built directly into the common understanding of court procedure. Of course, there’s no law requiring nonbelievers to swear. But it’s undeniably unfair when free deviance from a set religious phrase, scripted and delivered by a court’s bailiff, could color a jury or judge’s perception of a witness. We shouldn’t be suspicious of someone who affirms more than someone who swears, but many of us are. Eliminating “I swear…” probably won’t help, but maybe raising the profile of “I affirm…” as an option for nonbelievers (and even believers who object to swearing in a civil setting) will help make the process fairer. As a nonbeliever, I feel it is far more meaningful to affirm than to swear to an entity in which I do not believe. And how is our oath not a violation of separation of church and state? The text of the oath isn’t statutory, as far as I know. It’s only customary. There’s only a requirement that one swears or affirms. Actually, I was not really clear in my quick translation and explanation of the French sence of Justice. So I’ve taken few minutes to think about this topic. I do think there is a huge separation between Justice and Religion in France. I guess the Revolution and, maybe deeper with the secular laws under the 3rd republic (1870-1940), the religion was put out of the State and the Justice. the jurys’s one: uses as well the « je le jure. », so “I do swear”. But it’s pretty hard to say there is a religious connotations in those two French words. I’ve look around and I’ve realised the word “jurer”, came from the latin “juro, jurare” which means “to take oath” in the law and political sphere, this verb was mostly used toward the emperor/leader more than a religious reference. The French Dictionnary I have say “Jurer” (to swear) is actually the verb describing the action of taking an oath, using something or someone as a witness. The dictionnary underlines the fact this person/thing could be a god, a friend, a princip, etc. I guess in the case of the Law Court; witnesses take oath in front of this principle. The Dictionnary mentions many other sence of this verb: a religious one “jurer le nom de Dieu” as a blasphemy. ; “jurer” as “saying insults” ; wiktionnary gives nine different interpretation of this verb. This topic made me eager to look a little bit deeper in the way France has dvp a very strict seperation between religious principles and Justice. It’s said the US are in the situation where there is a clear separation but no “secularism” in the French sence of “laïcité”, because of the presence of those references in the US State. The author said France in the only county (among those 3) using the notion of “laïcité” , placing it in the core of the French Constitution, and applying it in Justice. To conclude about your soap 😉 , I’ve read the part of India which was under the French Influence at the Napoleonian Time : the “French India” , which was mostly composed of portuary towns. So, these town were under the influence of the “Code Civil” of Napoleon since a law of the end of the19th century (this code was secular, and we still use it today), it can explain why the French oath could be closed to the one you’ve seen in your soap. By the way Wikipedia says Pondichéry still have a very distinct justice code, close to the French Napoleonian one. Wow Benoit, thanks so much for taking the time to write such a detailed response. And thanks for clarifying the French use of “jurer” — it’s interesting to compare how both countries incorporate religion (or don’t) into the law. I think Benoît means “Because France is has a very strict separation of state and religion”. That doesn’t mean there are no religious people in France, just that there’s no reference to God or church in legal documents or official events and procedures. (Last year, when watching a remembrance service in the UK, it suddenly struck me that there were both military and clerical officers present. In France, you’ll never see a priest officing at a military event, nor a military in official function in a church).